"Twelve Most Romantic Places in the World"
Samara has received a host of romantic awards and accolades, and it’s easy to see why. Described as ‘heart-stoppingly beautiful’, Samara’s exquisite scenery lends itself perfectly to special romantic getaways. Whether you are planning a proposal, honeymoon, anniversary or even just a treat for your loved one, Samara is the ideal romantic escape. Escape the stresses of city living by booking into our Honeymoon Suite at Karoo Lodge. 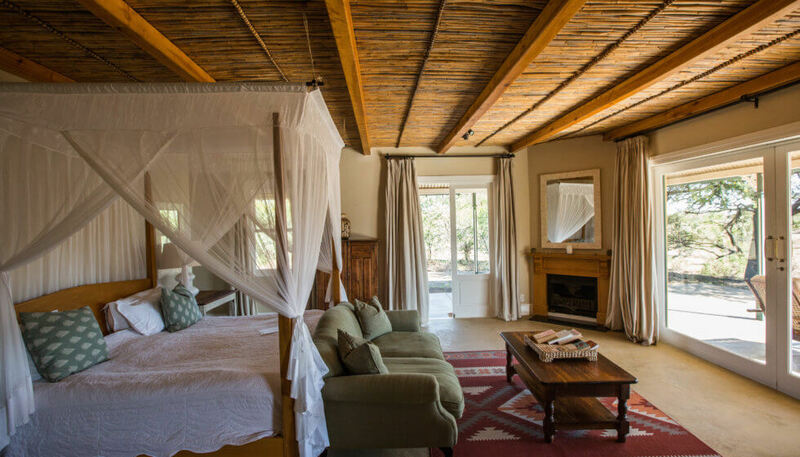 Awaken in your four-poster bed to the sounds of the bush – quiet, gentle, soothing. Open the curtains to reveal views that stretch to the mountains beyond. Breathe in the fresh Karoo air. Unwind. Samara’s abundance of stunning landscapes lends itself perfectly to outdoor dining at its finest. Whether on your own private verandah or out in the bush, treat yourself to an intimate dining experience as the night sky unfolds to reveal a carpet of stars. In the height of summer, request a romantic lunch for two in the river – and sit back in your canvas chair as the cool, clear water flows past your toes. What could be more romantic than a night out under the stars, with only your loved one and the Milky Way for company? Perhaps the luxury of a four-poster bed with billowing mosquito net and waking up to birdsong as another day dawns in Africa. There are few things more memorable than experiences shared on romantic getaways. Embark on a journey of discovery with one of Samara’s trained guides to learn about the wild and our place within it. Track cheetah and rhino on foot, hike to wild olive groves, feel yourself reconnecting with nature. The Samara team is passionate about creating special memories for you to cherish. Get in touch with us and we will be happy to assist you in curating your perfect romantic experience. 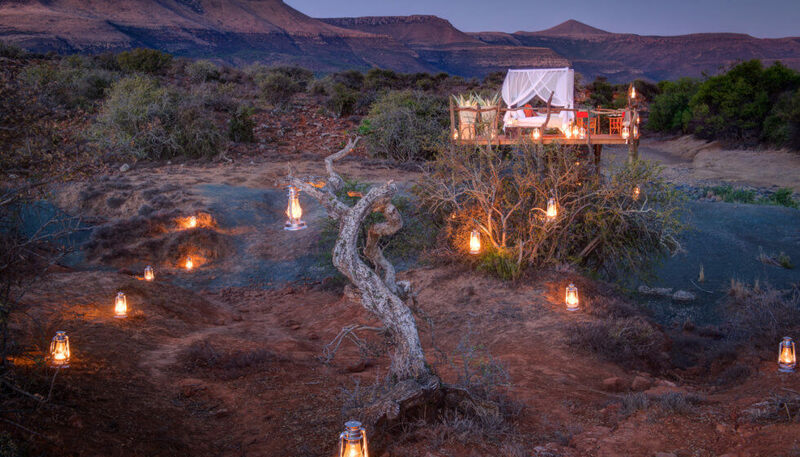 Romantic extras include special turn-downs, private vehicle (extra cost, depending on availability), wilderness picnics, couples massage and complimentary sparkling wine. "Best Places in the World to Propose"